Painful swallowing and oral lesions are symptoms of Candidal esophagitis, a fungal infection of the esophagus. 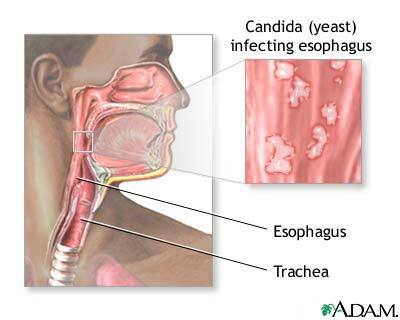 Candidal esophagitis is treated with antifungal medications. Recovery is dependent on extent of immunosuppression.